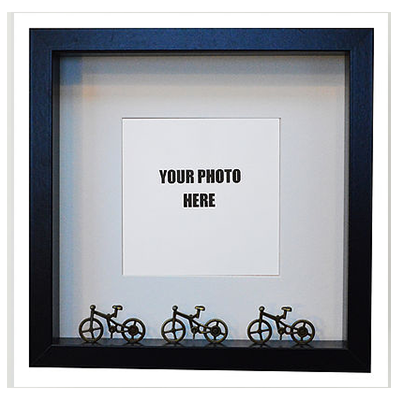 Don’t keep the walls bare – let our collection of cycling artworks and photo frames bring life into your living space! 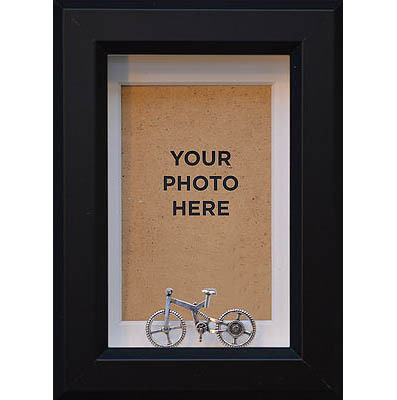 Whether you’re looking for a statement photo frame to display on the living room mantelpiece or a unique piece of art to hang in the bedroom we certainly have something for you. 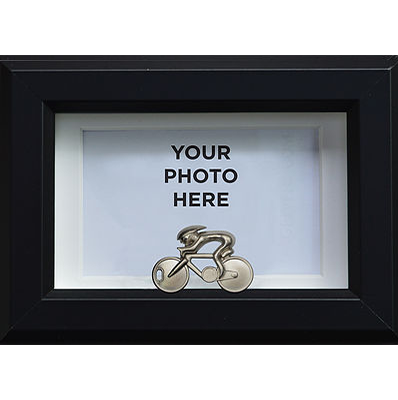 And, of course, all of these items make excellent gifts, putting a special spin on the idea of cycling memorabilia. 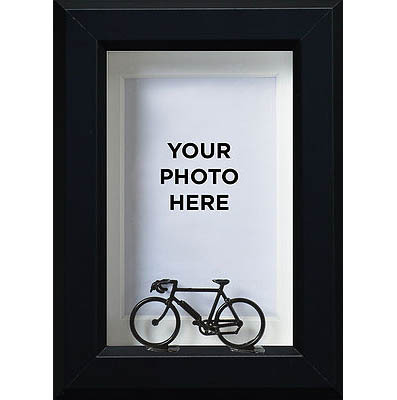 We have to put the spotlight on the 3D photo frames, which include a 3 dimensional, die cast model of a bicycle – available in a range of different styles – in front of the photograph, creating an excellent diorama effect. 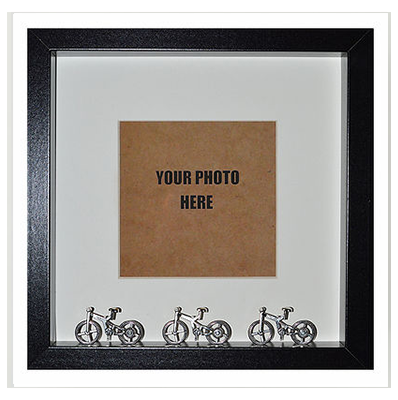 These are particularly lovely if you want to preserve a photograph taken at a cycling event or race day – although they’ll always make a wonderful gift once you’ve chosen an appropriate picture! If you’re looking for art then we have some great choices, including a limited-edition velodrome gears print which is as functional as it is fancy to look at! 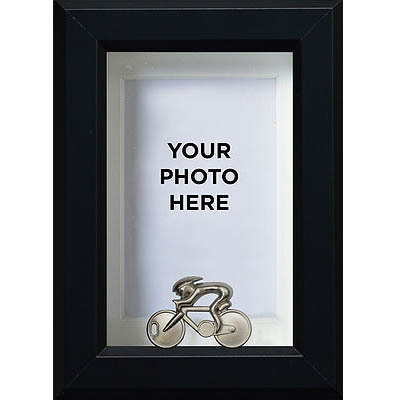 Or, for something even more unusual, our framed, 3-dimensional component displays offer a unique form of cycling art. 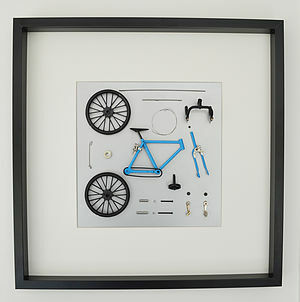 Featuring disassembled core elements of model bicycles, such as the frame, wheels and wires, these are a real celebration of the bicycle itself as well as the sport of cycling. 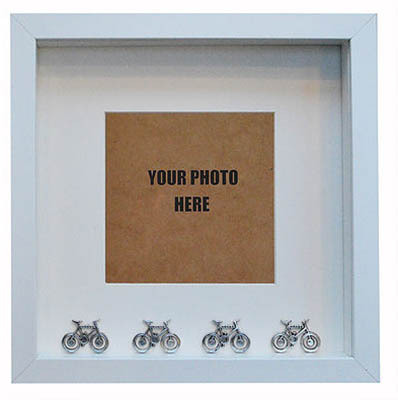 If requested, these displays can also feature a bespoke, polished metal engraved nameplate, perfect for marking memorable occasions and events. 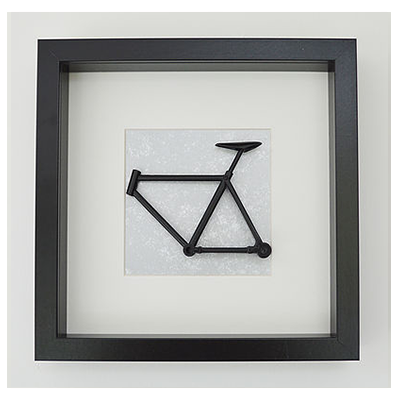 We don’t see how any cycling enthusiast could fail to be delighted by these objets d’art, especially if presented with them as a gift on their birthday or Christmas morning – so if you’re struggling to find a thoughtful gift for a cyclist in your line then look no further, these are the perfect items, especially one you make them a little more personal with the addition of your own pic. 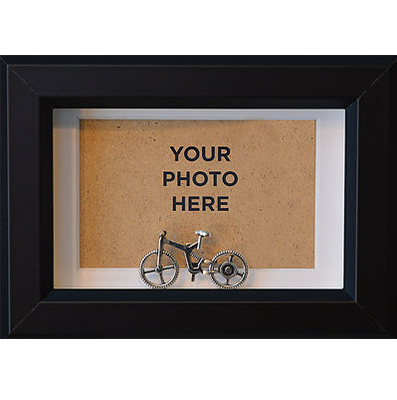 Don’t forget to browse our other cycling gifts, jewellery, bike kits and more, if you’re still looking for the perfect present to bring a smile to the face of your favourite cyclist. 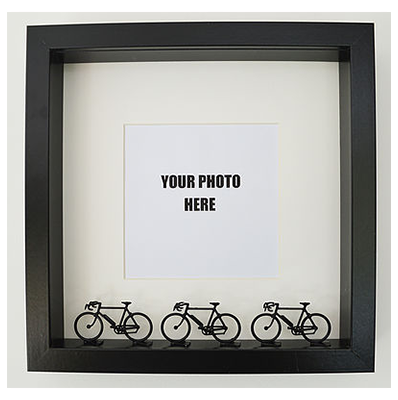 View Basket “Velo Galore (medium) Frame size 25.5cm x 25.5cm” has been added to your basket.